A “self-indulgent, ill-conceived, and poorly-edited disaster” is how J. Robert Lennon sums up Paul Auster’s companion piece to The Invention of Solitude from 1982, that remarkable book comprising two brief biographical pieces by a novelist still to make his name, in contrast to the new book which is, (Lennon again), “a rambling, informal collection of memories, musings, and minutiae” written by a prolific, internationally renowned bestselling author. It has to be said that Lennon’s review of Winter Journal is entirely fair and utterly misses the value of the book. He lays out a piece of paper on the table before him and writes these words with his pen. It was. It will never be again. Actually, more than that: The Book of Memory – part two of The Invention of Solitude – is written in the third person as if to mark the passing of the moment against the guile of memoir. By becoming “He” and later “A.”, Auster enacts the implications of the statement. We can see how the peculiarity of his profession, which then included translation, prefigures the fiction he will go on to write. Every book is an image of solitude. It is a tangible object that one can pick up, put down, open, and close, and its words represent many months, if not years, of one man’s solitude, so that with each word one reads in a book one might say to himself that he is confronting a particle of that solitude. A man sits alone in a room and writes. Whether the book speaks of loneliness or companionship, it is necessarily a product of solitude. A. sits down in his room to translate another man’s book, and it is as though he were entering that man’s solitude and making it his own. But surely that is impossible. For once a solitude has been breached, once a solitude has been taken on by another, it is no longer solitude, but a kind of companionship. Even though there is only one man in the room, there are two. A. imagines himself as a kind of ghost of that other man, who is both there and not there, and whose book is both the same and not the same as the one he is translating. Auster writes Winter Journal in the second person and so becomes his own translator – his own ghost writer, the second man reasserting the solitude of the subject; a kind of paranormal activity we recognise from Oracle Night when Sidney Orr disappears into his study with the blue notebook and breaks his writer’s block. The proliferation of interrelated stories and digressions and the fascination with the act of writing are undoubtedly the most distinctive features of Auster’s fiction, the former attracting wide appreciation, the latter perhaps allowed as a concession to Auster’s European inheritance (The Invention of Solitude contains extracts from his translation of Mallarmé’s A Tomb for Anatole and Blanchot’s fiction; equivalents of which are disappointingly lacking in Winter Journal, the most notable memory of France here being an affair with a prostitute). The focus on the everyday and corporeal of which Lennon labels self-indulgent is then a necessary recourse for the ghost, however uncomfortable and unliterary it is. “You would like to know who you are” Auster writes as a question to both ghost and subject, with only the latter able to reveal himself. The ghost must remain elusive for as long as the book is written. Auster is aware of this problem in The Book of Memory because he cites a line from Blanchot’s fiction: “What is extraordinary begins at the moment I stop”. But here the choice is either not to write or to write too much. The proliferating memories engage yet lack the mystique and sense of possibility innate to fiction, and instead rely on the mystique of the author who writes it. As we inevitably associate what is written with the life of a flesh and blood individual suffering family bereavements and panic attacks in Brooklyn, New York, there is a need to relate it to the fiction that appears to redeem it. The reader will thereby feel most at home when reading what Lennon calls “a pointless 10-page précis of an obscure 1950s movie”, which reads very much like a plot from an Auster novel. But this is secondary to the subject of the book. 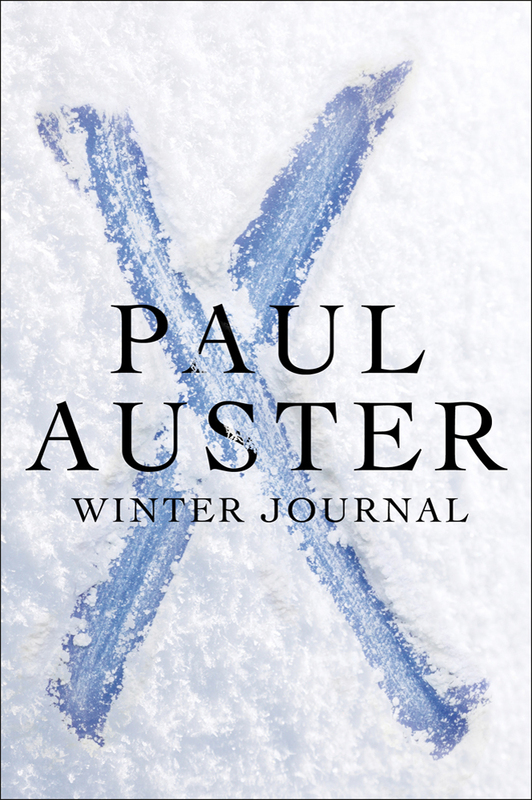 The Catch-22 of Winter Journal is outlined in The Book of Memory when Auster discusses the story of Jonah. Ordered by God to go to Nineveh to prophesy the city’s destruction, Jonah instead sailed to Tarshish, a journey that leads to what makes his story one of the most famous in the Bible. Eventually he does prophesy to the inhabitants and they save themselves with profound repentance. Thus Jonah complains that since God is merciful there was no need for him to prophesy, have his warning heeded and thereby be exposed as a false prophet. What ever Jonah does, he is condemned to isolation, trapped in the belly of the whale: “the shipwreck of the singular” as Auster describes it. So whereas The Invention of Solitude speaks of a singular life swimming in the ocean of human experience and stories, the new book is more Crusoe patrolling his island. [At] a certain point something began to open inside you, you found yourself falling through the rift between world and word, the chasm that divides human life from our capacity to understand or express the truth of human life, and for reasons that still confound you, this sudden fall through the empty, unbounded air filled you with a sensation of freedom and happiness, and by the time the performance was over, you were no longer blocked, no longer burdened by the doubts that had been weighing down on you for the past year. While this provokes thrills by offering possibilities for our own personal release, the hyperbole prompts the readers to wish for a prolonged meditation on this experience; what doubts were these and how does it affect the writing of his novels? What is this crack in the universe and where might we squint through it? Perhaps it is fiction itself, where Winter Journal by definition cannot venture. Perhaps the clue as to why the epiphany forms only a climax to the book rather than its core is in Lennon’s summary of Winter Journal which I did not quote in full: “a rambling, informal collection of memories, musings, and minutiae presented in the second person”. The inclusion of the form as incidental, as if equivalent to the colour of the dust jacket, is surprising because it is the formal challenge that distinguishes Auster’s narrative and aligns it with another of those European inheritors unmentioned by Lennon: Samuel Beckett’s Company (1980), which John Pilling says, “gravitates more openly towards the genre of autobiography than anything before”. To one on his back in the dark. This he can tell by the pressure on his hind parts and by how the dark changes when he shuts his eyes and again when he opens them again. Only a small part of what is said can be verified. As for example when he hears, You are on your back in the dark. Then he must acknowledge the truth of what is said. But by far the greater part of what is said cannot be verified. As for example when he hears, You first saw the light on such and such a day. Sometimes the two are combined as for example, You first saw the light on such and such a day and now you are on your back in the dark. A device perhaps from the incontrovertibility of the one to win credence for the other. That then is the proposition. To one on his back in the dark a voice tells of a past. With occasional allusion to a present and more rarely to a future as for example, You will end as you now are. The connection is most explicit when Auster describes how he recalls his past during bouts of insomnia on his back in the dark: “For it is only in the darkness of solitude that the work of memory begins”. But, as The Invention of Solitude attests, the work of memory requires the distance between writing and what is written to be brought to life and, here, the second person eventually becomes a tic, employed as a device to win credence for straightforward memoir. The ghost and the subject become too cosy in each other's company. However, while Company focuses more on the veracity or otherwise of the voice in the dark and Winter Journal its sentimental revelations, both have in common the pursuit not of what is behind the writer but what lies in front of us all.